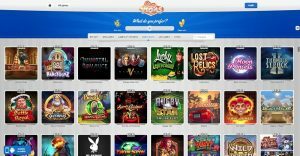 SlottyVegas is licensed by the UK Gambling Commission and the Malta Gaming Authority, and offers 24/7 customer support via live chat. Lovely, lovely looking site this one, in my humble opinion. The livery is smart and professional looking while the game images look really cool. However, though there are plenty of positives aesthetically, navigationally, it is somewhat lacking. As soon as you land on the desktop page you have to go below the fold to find the game categories and the information on the Supercharged wins, plus the game categories (when you get to that page) aren’t all that great. 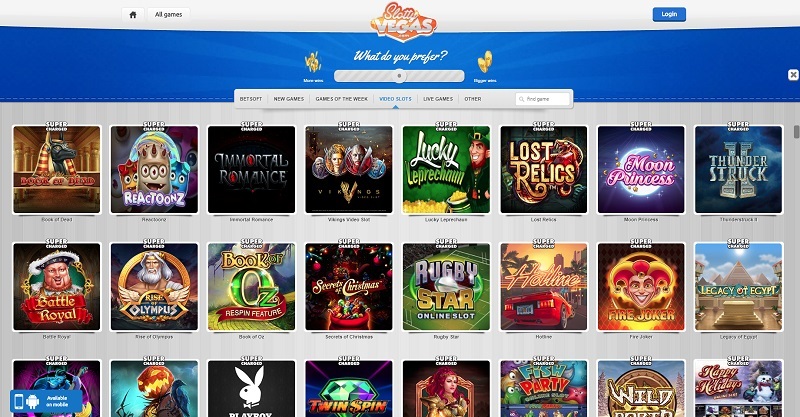 Like, for example, there isn’t a category for progressive/jackpot slots, which is frankly quite rubbish. Hey ho. Slotty offers most of the popular payment methods out there including Visa, Mastercard, Maestro, ecoPayz, epay, Neteller, Skrill, Bank Transfer, Euteller, Giropay, and many more. The minimum withdrawal and deposit amount is £20. The maximum deposit is £500 and the maximum withdrawal is £5,000. At the time of writing, SlottyVegas has nearly 400 games on their site, from four different game providers, and pretty much every single one of these games is ‘Supercharged’ too. In fact, it’s hard to find any games that aren’t ‘Supercharged’, to be honest. 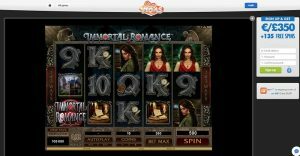 And that covers all the games from the popular slot games like Starburst, Gonzo’s Quest, and Butterfly Staxx, to the traditional table games, and live casino as well. 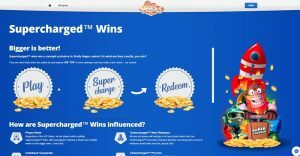 A super collection, almost all of which will give you extra money every time you win. Lovely lovely! This is a very lovely online casino this one. 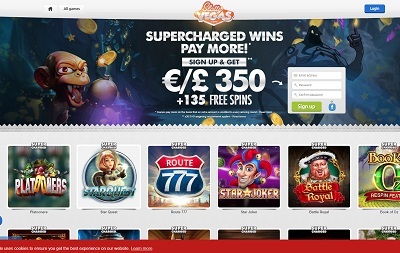 A great looking website, over 400 games including progressive slots, 24/7 customer support, an excellent welcome offer, and all the popular payment methods puts this relatively unheard of player amongst the big boys of the industry. Because seriously, apart from an issue regarding the navigational journey, there is pretty much nothing stopping this casino being considered amongst the best. In fact, I’ve not even mentioned the magnificence of having all your wins supercharged. Man, this casino! It’s outrageously good!